The 90 employees of APK AG might not manufacture gold in Merseburg, but thanks to their innovative process, they can recycle plastic film packaging so well that the plastics to be created are practically as good as new. 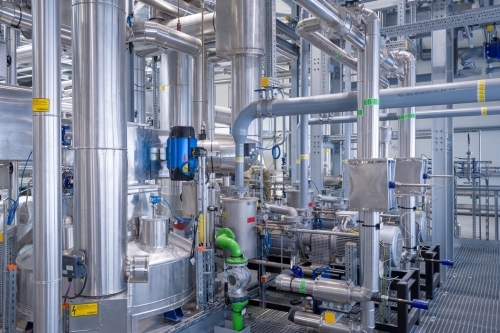 The demand is there – and the new production facilities are currently under construction in the Chemical Triangle in southern Saxony-Anhalt. Mixed plastic waste will soon be delivered to APK Merseburg by the tonne. 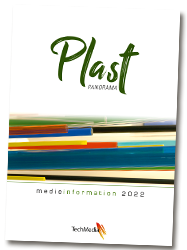 Type-pure plastics will leave the plant. Years of research work is behind this transformation, which has succeeded in separating the different types of plastics that are used for packaging of sausage and cheese, for example. The Merseburg-based company has succeeded in separating these substances with the help of a multi-stage solvent-based process so that polyethylene and polyamide, for example, can be obtained in an almost pure form with few residues; under the names of Mersalen and Mersamid – the names having been chosen in reference to the location of Merseburg – the plastics are now on the market. Newcycling is the name of the process that makes use of the material cycles. In this con-text, the solvent is purified and reused in a continuous cycle, explains Florian Riedl. APK’s Head of Business Development for Newcycling continues: “The regranulate from the newcycling process can be reused in sophisticated applications, such as flexible packaging, and in this way, replace newly manufactured plastics.” Conserving resources through materials recycling. APK has not yet received the ultimate accolade of approval for the food industry. Yet the demand from the world of industry for high quality granules is exceptionally high at both the domestic and international levels. For Mersalen (LDPE), brand owners and packaging manufacturers are the key customers. The firm wraps detergents and cleaning products, for example. “As very few LDPE regranulates are currently used in flexible packaging, we are tapping into a new market,” explains Florian Riedl. Mersamid (PA) mainly sees use in technical applications. APK developed newcycling simultaneously to its traditional, automated recycling of plastic waste. Right now, its first commercial newcycling plant is under construction in Merseburg. It will have a capacity of 8,000 tonnes per year and is set to be operational by the end of 2018. The opening of the new plant will see the company team increase to 120 employees. APK also provides its own staff training to ensure that it is able to draw on a sufficient number of specialists. After all, APK wants to continue growing. An investment in a second plant which will process household waste and have a capacity of at least 25,000 tonnes per year has already been confirmed and is set to be ready for operations by the end of 2020. To date, it is only industrial companies that have supplied the plastic waste. Household waste would pose a particular challenge, explains Florian Riedl, as it mostly tends to be highly mixed. 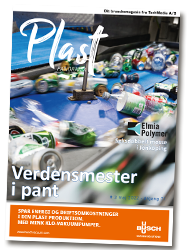 A type-pure separation of the differing types of plastic with the use of modern sorting facilities isn’t economical. In this respect, the small-format films of various types of plastic are combined to create a mixed residual fraction. To date, mixtures of this kind have usually ended up at waste incineration plants, or are processed into regranulates which can only be used for low-quality applications such as park benches. “With the newcycling process, it is even possible for these mixed fractions to be reconditioned to a high quality,” explains Florian Riedl, describing the level of quality that the Merseburg-based business is able to offer. With the planned plant, the company will help to fulfil the new and demanding statutory quotas for the material recycling of packaging waste from households. Within three years, the quota is set to be increased from the current one third to 63 percent. It is to be expected that the quota will be increased further, not least due to EU requirements. With more than three million tonnes of plastic packaging per year in Germany alone, the planned capacity in Merseburg is therefore just a start.